You've got a job offer for your first job after college - now what? Should you take it, or should you hold off for a better opportunity? College graduates typically expend an enormous amount of energy on their search for a post-graduation job. When offers start to come in, it can be challenging to change gears from self-promotion to careful consideration of job offers. 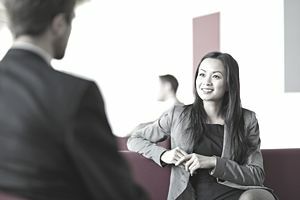 It's natural to be flattered by the attention of any employer making an offer but it is essential to carefully evaluate offers based on their merits. Here are 10 tips to help you assess offers for your first job after college. Develop multifaceted, personal criteria for a good job so you have a filter to evaluate offers. Common factors are job content, the initial level of responsibility, prospects for advancement, training opportunities, salary, benefits, location, quality of potential supervision and organizational leadership, growth potential for that industry, corporate culture and corporate ethics/social responsibility. Decide how important various factors are to you, what type of employer would match your criteria, and what job would be best for this first stage of your career. Be aware of red flags that may indicate the job could be a nightmare instead of a good first step in your career. Walk me through how you spent your day yesterday? Which skills are most critical to carrying out your job? What is the most responsible activity associated with your job? When did you first get to take on more responsibility? What percentage of your time was spent on the routine tasks that you mentioned?" If you are still unsure about the job content or work environment, ask if you could shadow one of last year's hires for a day or two. Assess the pattern for advancement at your prospective employer. Find out common career paths evolving from your initial position. Ask to speak with staff who have progressed to next level positions and determine what it took for them to make that progression. Ask recruiters and corporate managers for the typical percentage of new employees who are promoted and find out the normal time frame for advancement. Investigate opportunities for training and professional development. Is training formal or on the job? Can you receive reimbursement for taking outside courses or seminars? 5. Is the Job Offer for What You're Worth? Analyze your salary offer within the context of that type of position and industry. Connect with your college career office where staff will have access to survey data about entry level salaries. Request a list of alumni contacts in your target field and ask them if your salary offer is competitive. Consult online salary calculators. Recognize that starting salaries are normally higher in larger cities and bigger organizations. Assess the growth potential for your salary by asking about the timing of your reviews, eligibility for salary increases, average salary increases and salary ranges for next level positions. Determine the value of non-salary elements of total compensation like health care benefits, profit sharing and employer contributions to 401k plans. Ask how much of the health care premium is paid by the employee. Find out about co-pays and deductibles. Speak with college alumni in Human Resources and ask them to help you evaluate the plan. Here's how to compare employer benefit packages. 7. What Will You Learn? Carefully consider how much you will learn in that first job since most new hires will change jobs many times within the first 10 years of their career. The skills and knowledge which you acquire will help you to access subsequent jobs and generate a higher income later on. Take a sophisticated view on how you weigh the importance of your initial job location. If the job looks great and the location is less than ideal, consider whether you might be able to transfer easily within the company or industry to a more desirable location after a couple of years. Would you be able to easily travel on weekends to your first choice location to socialize with friends, family or a significant other? You will be very busy during the week with most new jobs anyway. Assess the prospects for your target employer. Is the organization growing, stable or shrinking? Is the industry growing or fading in significance? Advancement prospects will usually be better at a growing company, and it will generally be easier to find another job if the industry is expanding. Ask alumni in the industry about trends and if they would target that industry if they were starting their career again. Also keep in mind that you won't have to stay at your first job forever, when you're deciding on which job to take. 10. How About Management Style? How would you describe her approach to management or leadership style? What do you enjoy most about working for her? What types of mechanisms exist for providing feedback? If alumni work at the organization you might ask some more direct questions about your prospective boss's reputation. Taking the time to conduct a thorough evaluation of your job offers will make it more likely that you will select the right employment situation to launch your career.